Inevitably when you revamp a website, there will be adjustments for the users. 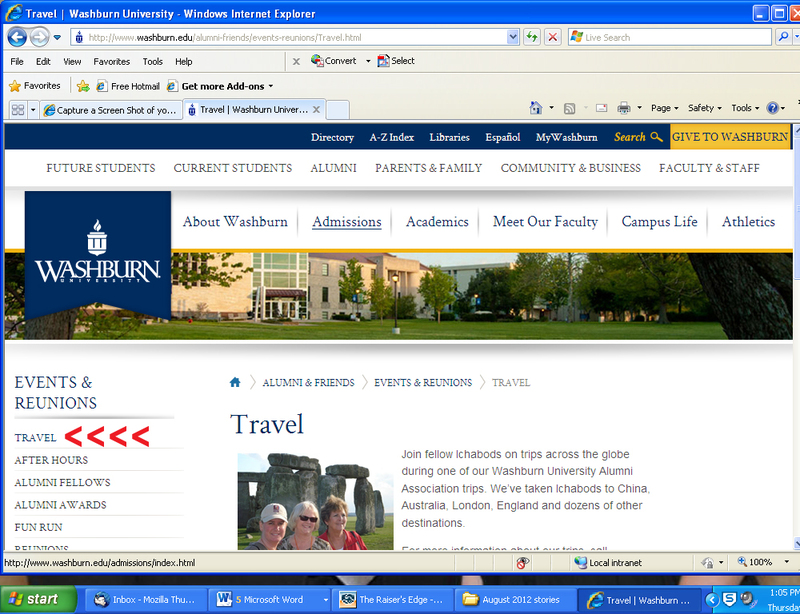 Despite the changes, I’m confident the alterations we’ve made will make navigating the Alumni Association site easier. One of the many differences on the new site is the site navigation. While most of the pages are located where you’re used to finding them a few did move. One of those was the Travel page. After inquires as to where the page is now, I’ve added a page to the Events and Reunion section. The page, which you can find by clicking on this link, contains information about our trips and will continue to grow as I work on the site this summer. The Travel page is also located in the Alumni Services section at this link. It can also be access on several other pages on the website, including our Events and Reunion homepage in the menu on the left side of the page (See the red arrows in the photo above). If you have questions about the new site, please call me at 785.670.2303 or send an email. Keep a look out for my next blog, which will preview the August edition of the Alumni magazine. This entry was posted in homepage, Travel page, Washburn, website and tagged Washburn Alumni Association, Washburn Alumni Association travel, Washburn Alumni Association trips by washburnalumni. Bookmark the permalink.